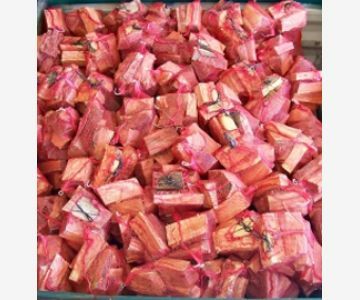 As an alternative to our bulk bag we can offer a ten net bag order. 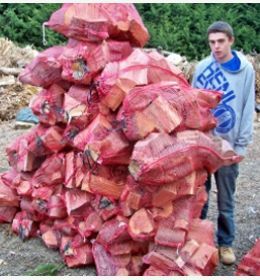 This can be a handy option for anyone who would like to organise a firewood supply but does not have a log store or specific area of storage for their split logs. 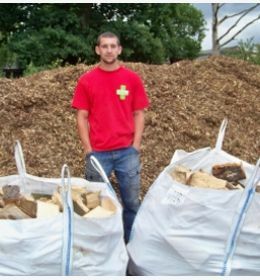 These smaller bags can be stacked around the edge of your garage, leaving space for your vehicle or in a shed or cellar offering more manouverability for smaller amounts. 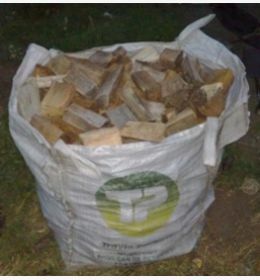 The net bag order of split logs still offers a fair mix of a selection of woods, including Ash, Apple, Cherry and Oak with our aim to offer good quality firewood at competitive prices. 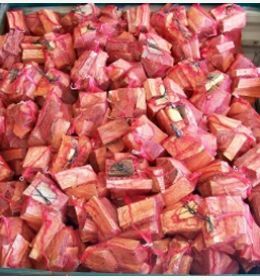 This order will fill one of our 1 cubic metre bulk bags and offers a great alternative, loved by many of our customers.